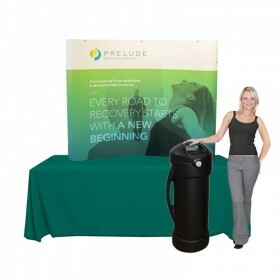 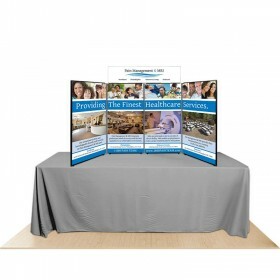 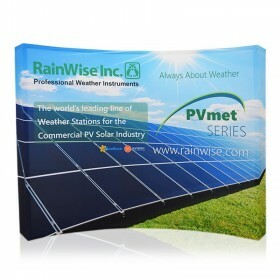 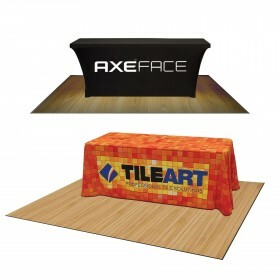 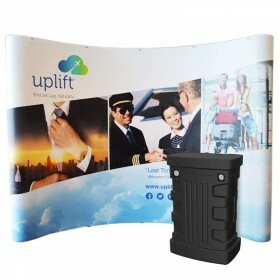 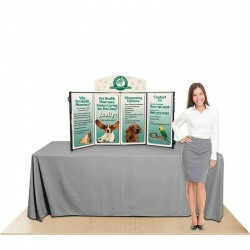 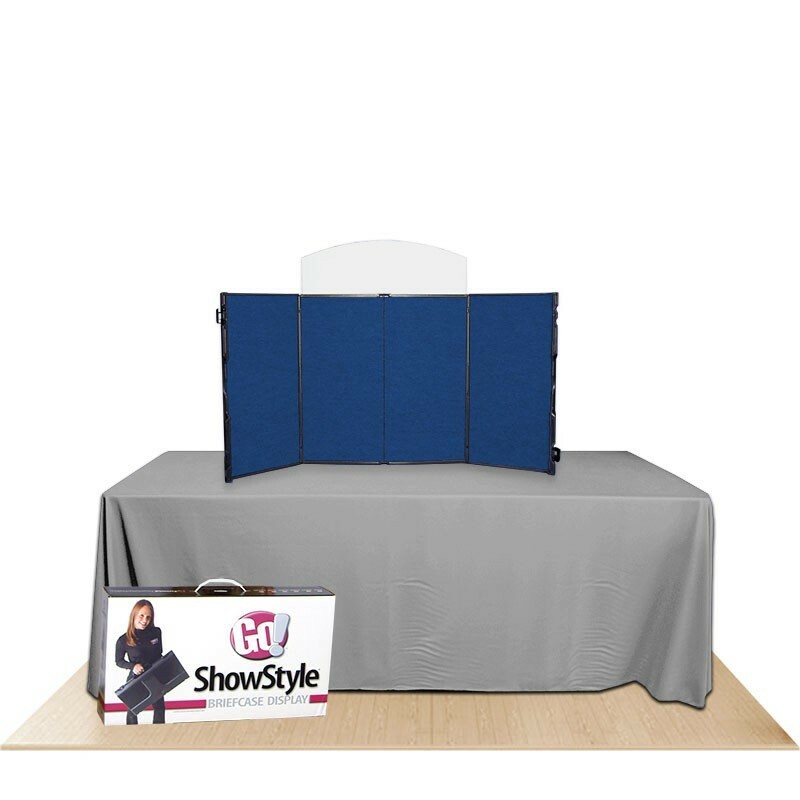 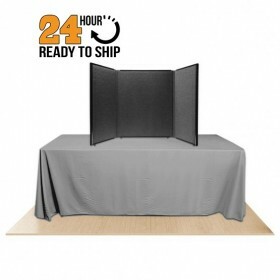 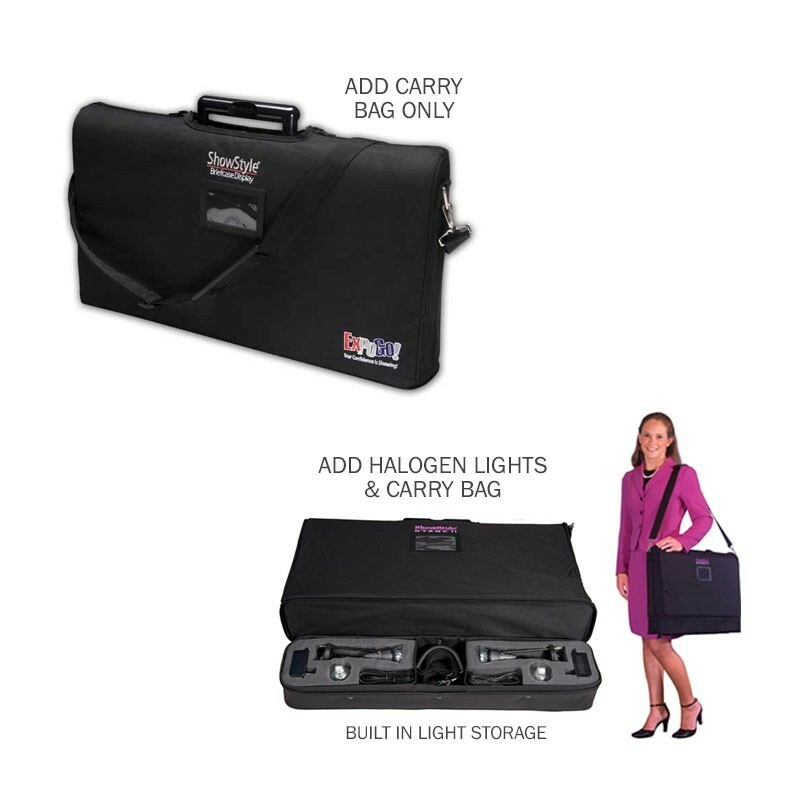 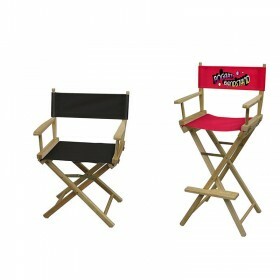 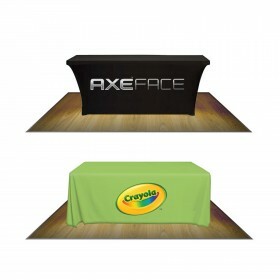 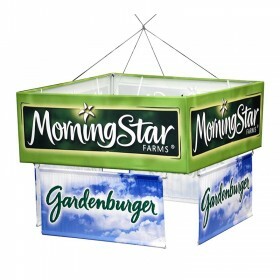 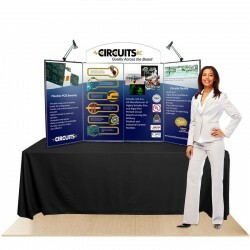 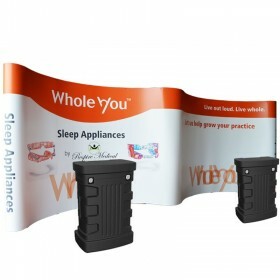 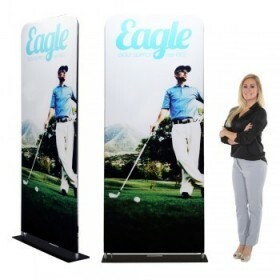 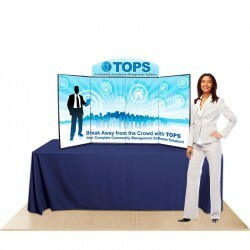 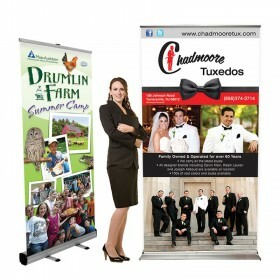 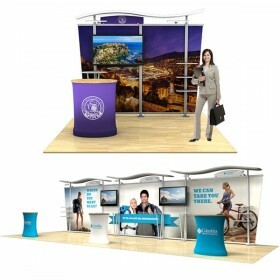 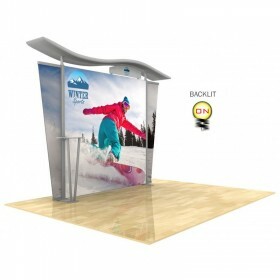 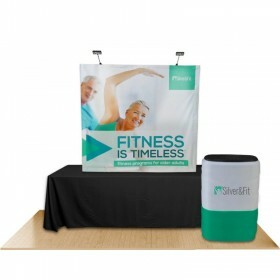 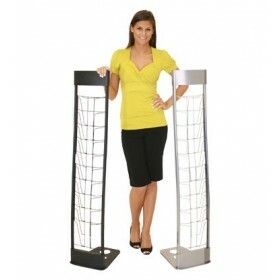 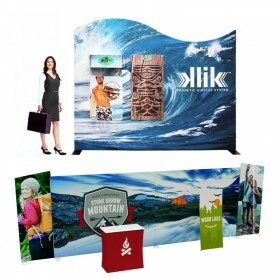 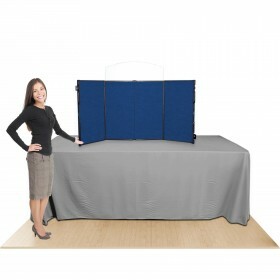 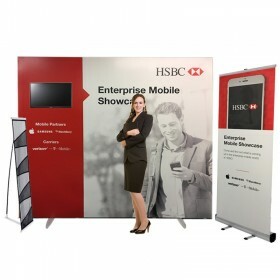 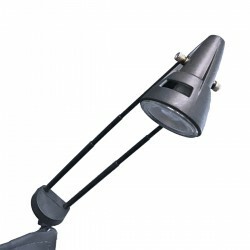 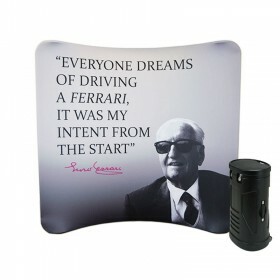 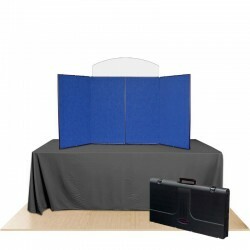 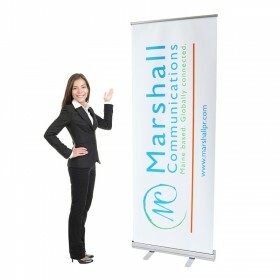 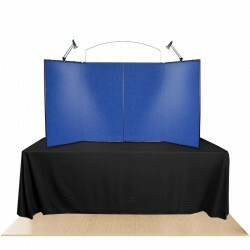 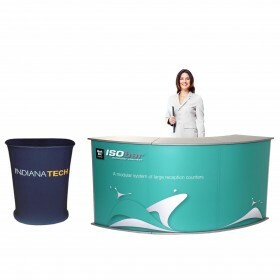 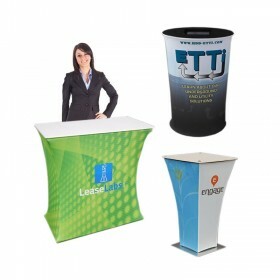 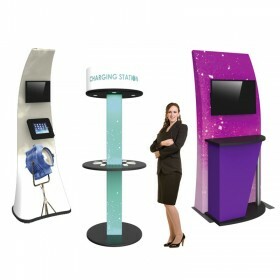 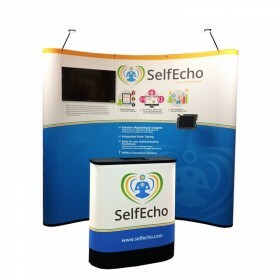 The ShowStyle Briefcase table top presentation displays are great for any salesperson on the go! 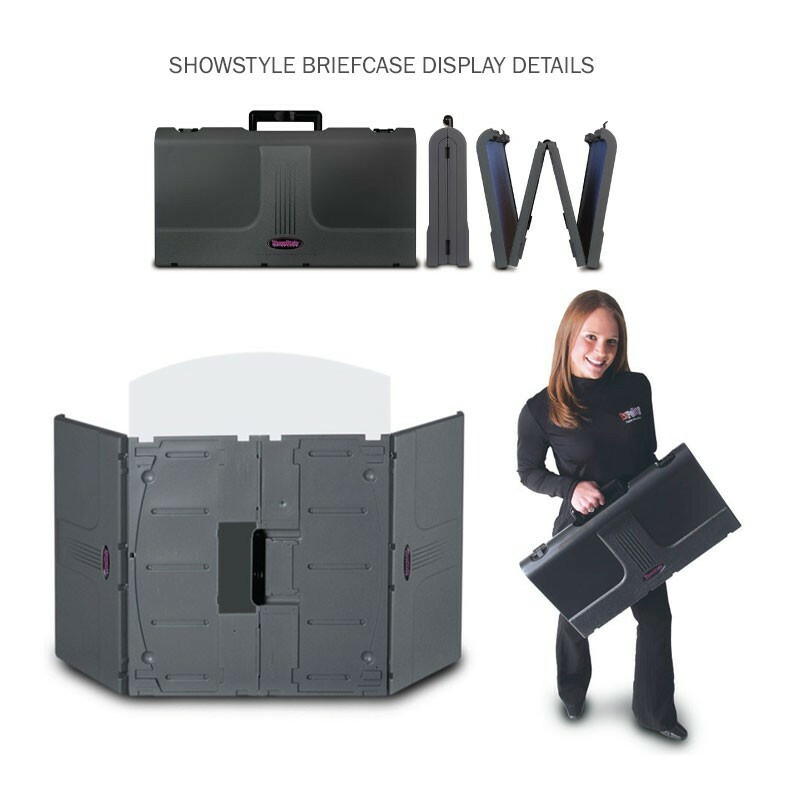 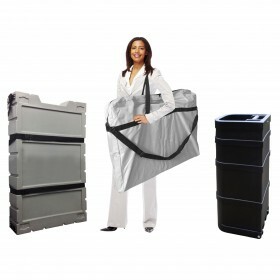 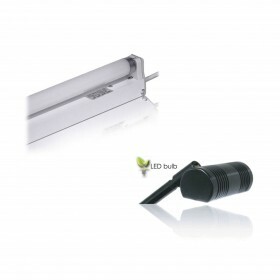 The portable Showstyle display fits in overhead compartments. 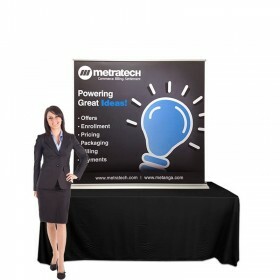 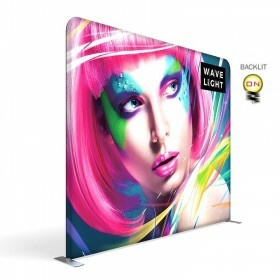 Simply attach printed items with VELCRO® to the velcro-ready fabric panels. 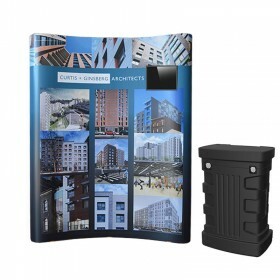 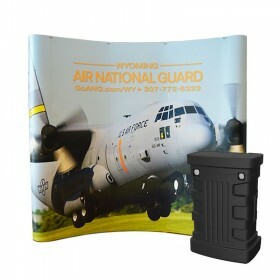 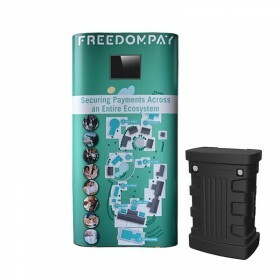 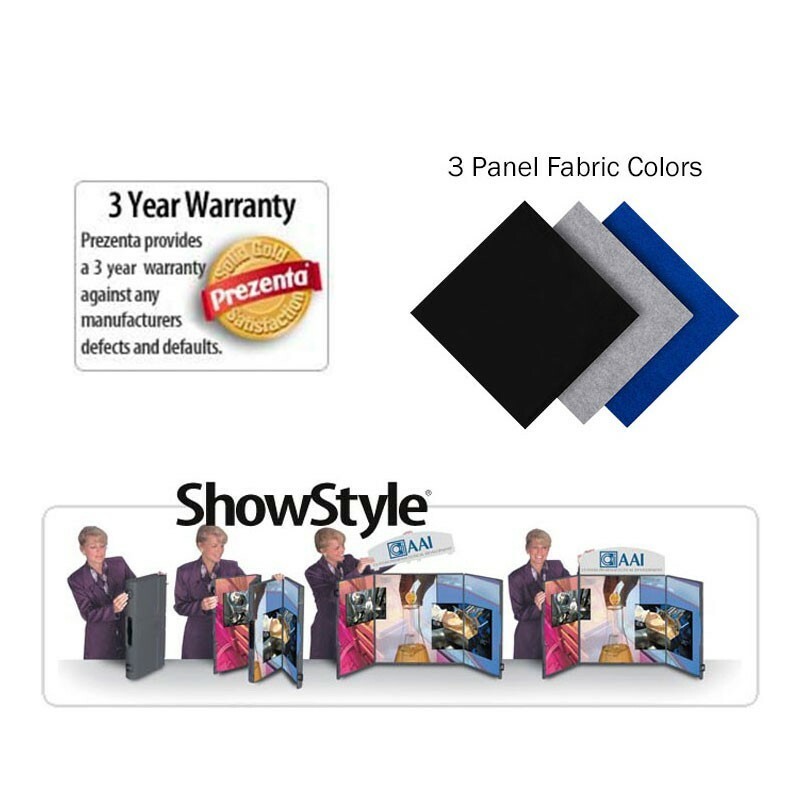 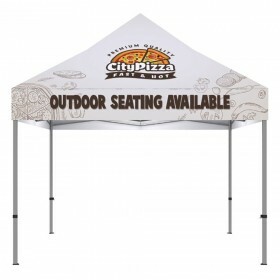 This Showstyle package includes the briefcase display with your choice of standard fabric color: Black, Gray or Royal Blue and a white arch top header which you can upgrade and customize with your logo. 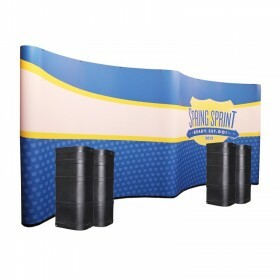 The arch top header securely slides into the 4 slots in the back of the display panel board and easily packs away within the backside of the center panels. 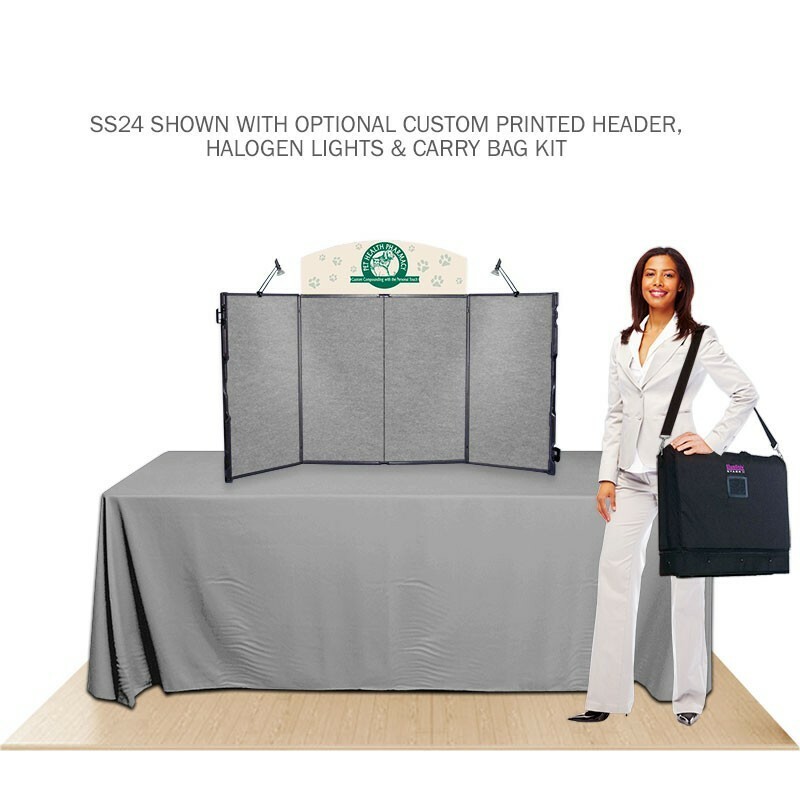 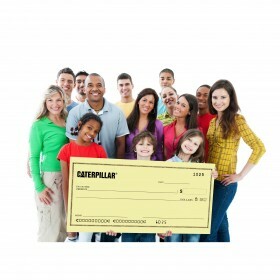 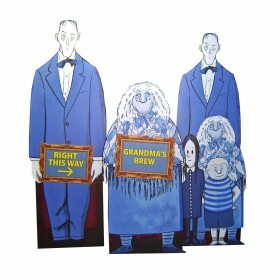 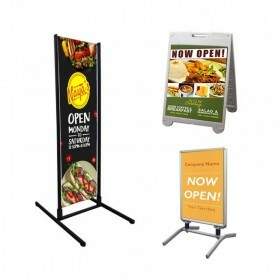 Your customized photos, charts, and signs easily attach to the Velcro ready panels. 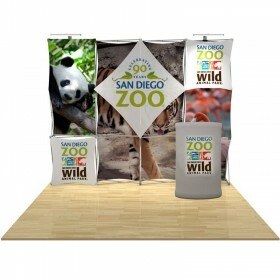 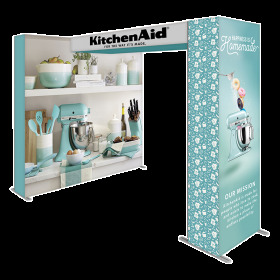 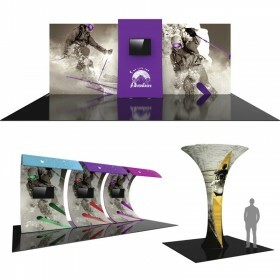 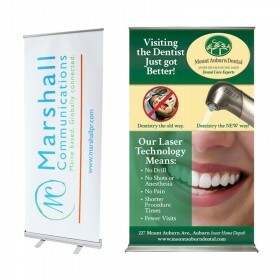 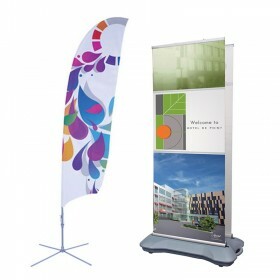 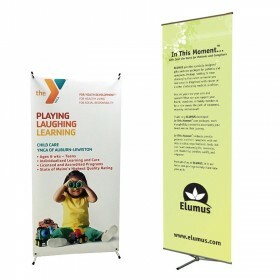 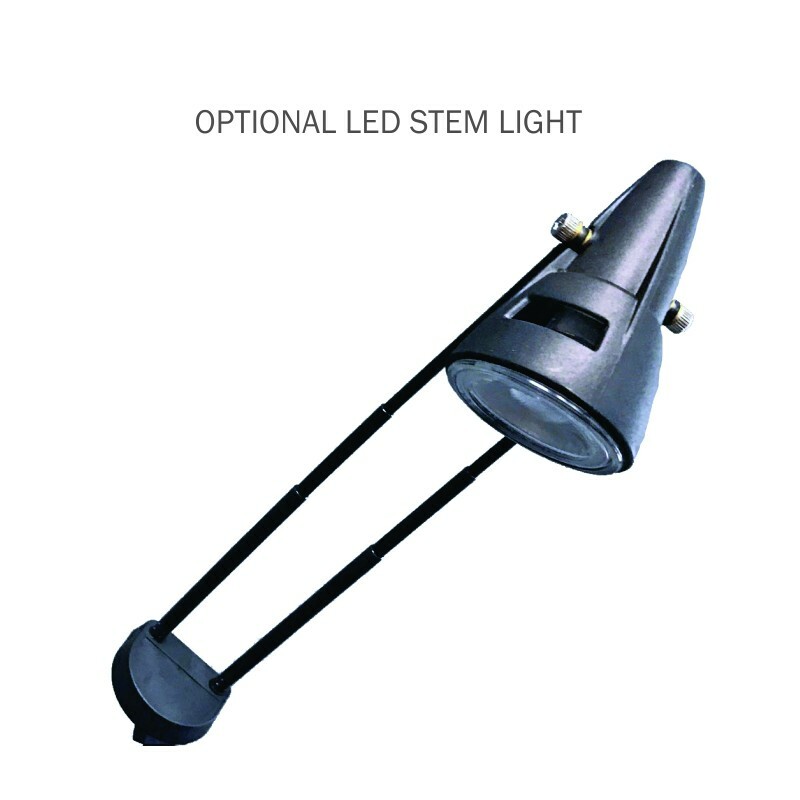 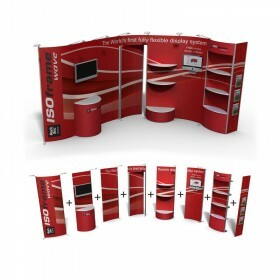 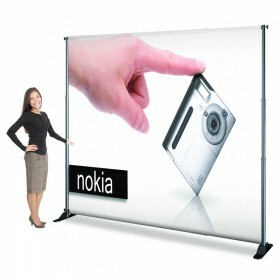 After a presentation, simply fold your visual elements within your panels for easy transport. 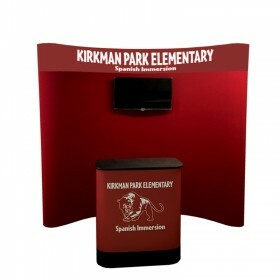 15" x 26" x 6"